Sometimes, the most stylish statement you can make is to flip the switch on traditional color palettes. At the moment, that means branching out from warm, earthy tones for something a bit lighter. Enter pastels: These candy colorways may seem tethered to spring’s airy sensibilities, but they can bring an elevated softness to your wardrobe all year long. 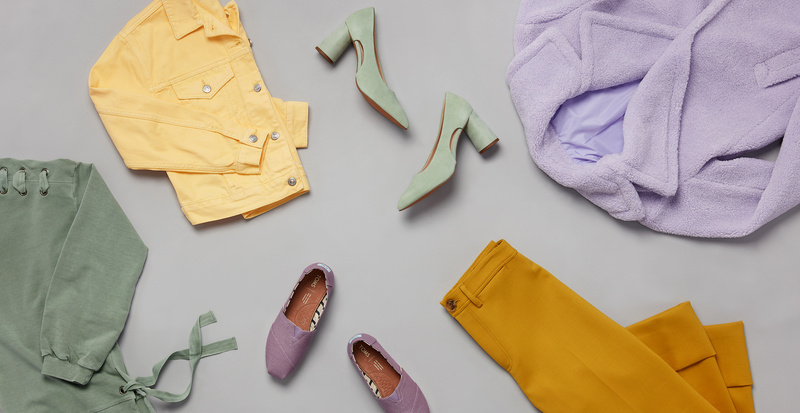 Three pastels we’re loving right now—all of which jibe with your standard fall palette—are lavender, yellow, and mint. Because pastels bring an unexpected statement to an outfit, they lend better to classic (even preppy) silhouettes. Think double-breasted coats, culottes, and feminine heels. We’ll get you started on this lively fall trend with a few pieces in each of our prized pastel hues. Lavender is a dynamic shade that can glide from almost-mauve to bright lilac. Purple hues play nicely with earth tones, metallics, and yellows, as well as muted cool tones. We’re loving a bold wide-leg pant or fun textured coat, if you want to make a statement. For those who wish to ease into the trend, a slip-on shoe in classic canvas is a good gateway accessory. Opt for a pale, buttery hue or a richer pastel yellow, depending on which of these sunshine-inspired colors looks best with your skin tone. Yellow looks great on powerful silhouettes, so have fun with it! 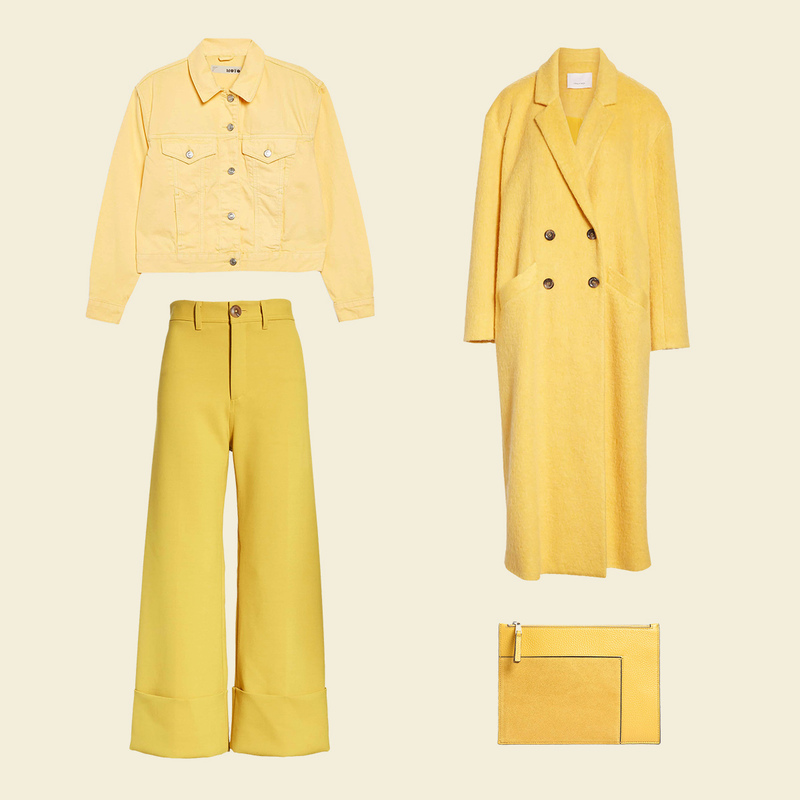 A voluminous pant, oversized coat, or cropped denim jacket can bring this hue to life. Again, if you’re not quite ready to go full big with this trend, try it out in a small way: a mod clutch, for starters. This pretty pastel finds its way onto the runways and the streets season after season. For fall, it works best in a slightly desaturated tone that resembles its cousin, sage. A roomy sweatshirt with lace-up detail will update your casual basics. A cozy cable-knit sweater can become your go-to top layer. And as an accessory, mint shines in soft suede—try a block-heel pump.